If you need assistance with a domestic animal, such as a dog or a cat, you need to call your local Orange County animal services for assistance. They can help you out with issues such as stray dogs, stray cats, spay & neuter programs, vaccinations, licenses, pet adoption, bite reports, deceased pets, lost pets, local animal complaints and to report neglected or abused animals. Critter Problem at Your House? 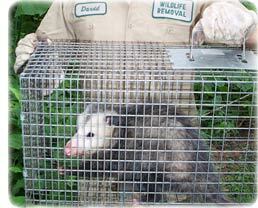 Hire Animal Wildlife Trappers, Inc. Remember, for a dog/cat problem, call 407-836-3111, and if you need wildlife removal service in Orange County, call Animal Wildlife Trappers, Inc.: 321-251-2219.